It is that time of year where we honor you as a teacher! All of your hard work and time spent in and out of the classroom is more appreciated than you know. Now it is your week to be pampered. And what better way to get pampered than by having a site wide TPT sale!!!! That means it is time for you to start filling up your carts! I'm linking up with some amazing bloggers and sellers to bring you our top wish listed items for you to check out before the big sale. 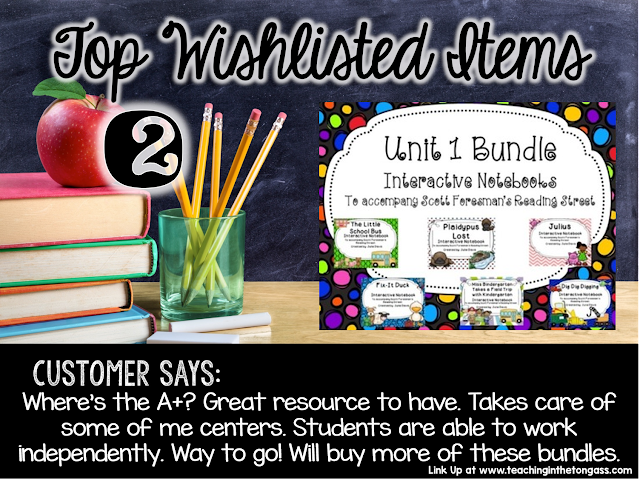 I also have a few new resources that I have been working hard to complete over that past few weeks that I want to share with you. Now sit back, sip your coffee (or water if you are me), and start filling up your carts. 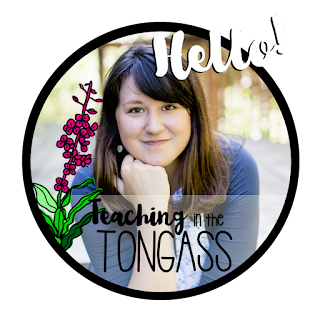 You can click on each picture to check them out in my TPT store. 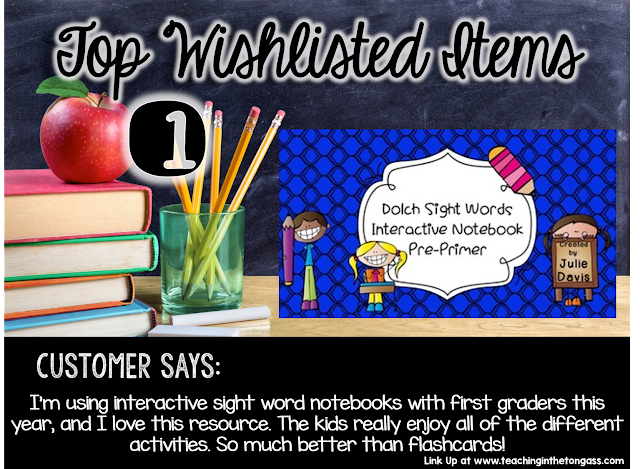 First up is my Pre-Primer Sight Word Interactive Notebook Bundle. I actually have a bundle for Primer, 1st Grade, 2nd Grade, and 3rd Grade too. And if you scroll to the bottom you will see that I am starting on the Fry Word list next! 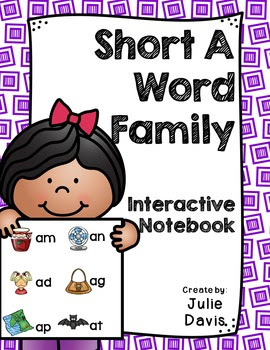 These are great interactive ways to help your students learn their sight words. Your students will master 6 sight words each week. They will be begging to learn their sight words! Next up is my Reading Street Interactive Notebooks. 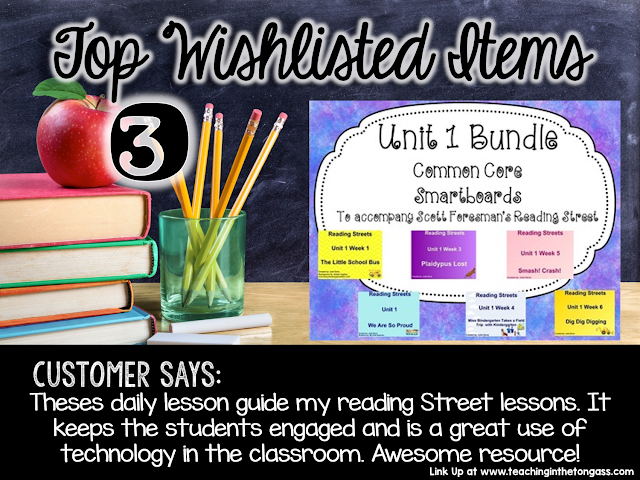 These are activities that pair perfectly with the Kindergarten Reading Streets Curriculum. 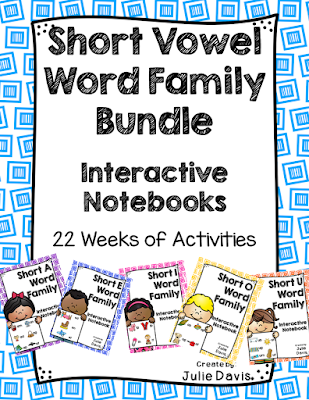 They are great for small groups, center work, and individual work. My kids have loved these and have learned so much using these supplements. Tagging along with the Reading Street Interactive Notebook is Reading Street SmartBoard Companions. These have been absolute life savers. Each SmartBoard is a week long unit and follows the curriculum exactly. There is no need to open the teacher manual anymore and hunt for what to teach. 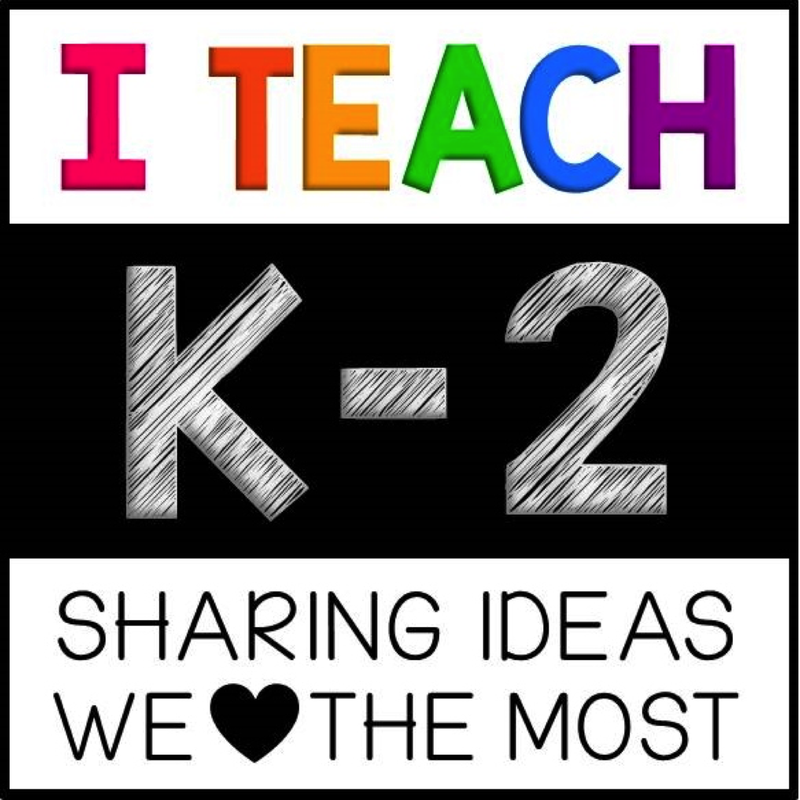 I use these in whole groups, small groups, center work, and as quick break out lessons. If you use Reading Street then these are a must! I also have these for 1st grade too. Now come take a peek at some new things that I have been working on these past few weeks! This has been a highly requested product that I have been working on for a while now. I am so happy to share with you that it is finally completed. 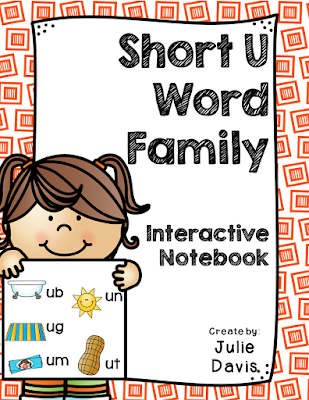 Need a fun, hands-on, interactive way for your students to learn Short Vowel Word Families. 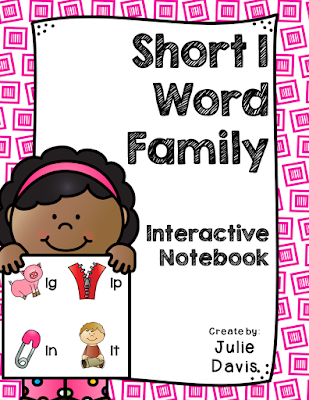 Check out this brand new interactive notebook. You can buy it in a mega bundle, smaller bundles, or individually. 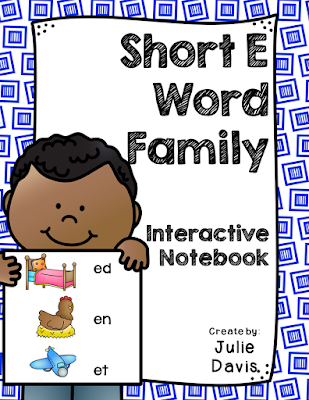 Check out some of the activities that are included in each of these notebooks. I've also been working on some fun Insect Flippy Flaps to help you get through the end of the school year. You can get these in a big bundle or individually. Check them out below! Last but not least, hot off the press has been a highly requested product that I finally found some free time to work on. 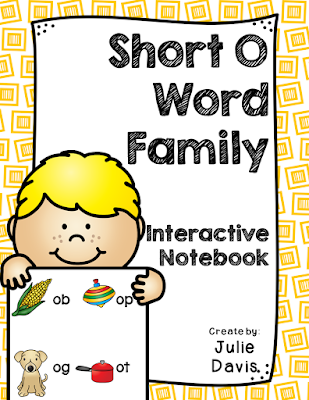 Here is a peek at the Fry Sight Word Interactive Notebook for the first 100 words! Run on over and grab it now! Hope you found some amazing things to add to your cart during the sale. 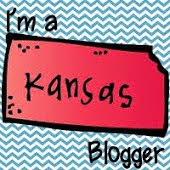 Now head on over to Jen's page to check out some other amazing bloggers/sellers and their top wish listed products. Happy shopping!! !